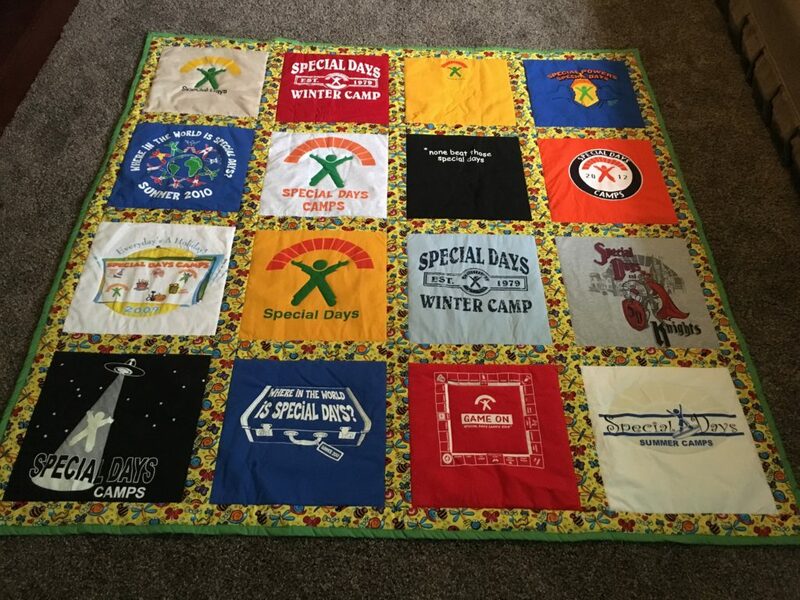 Purchase your ticket today for a chance to win this one of a kind handmade quilt made of camp t-shirts. 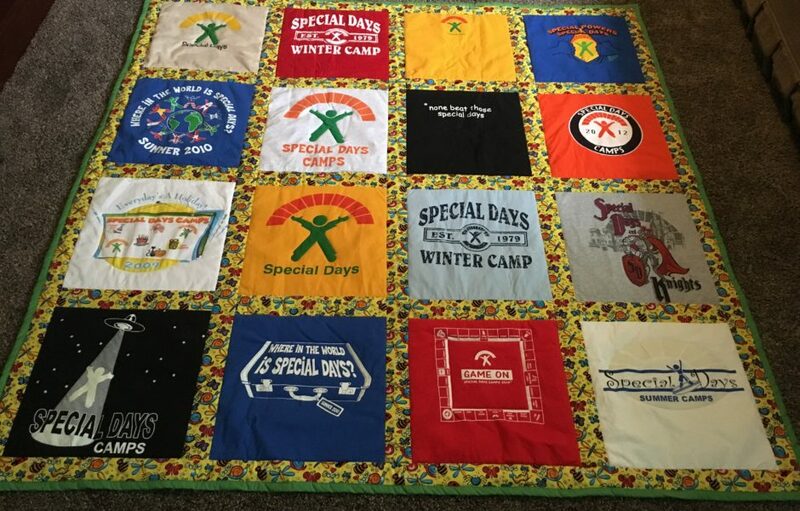 Included is the shirt from the very first year of camp in 1979 and various others from over the years. Tickets are $10 each or six for $50 and the drawing will take place on October 21, 2017. The quilt will be displayed at check-in and check-out both weeks this summer and you can purchase your tickets on site. You may also purchase tickets by sending a check to: Special Days Camps, P.O. Box 436, Dimondale, MI 48821, be sure to include a note or write “quilt” in the memo line of the check. Are you ready to get away from it all at an island paradise? are you ready to hula and surf your days away? then pack up your grass skirts and Hawaiian shirts for Special Days Ohana! The canteen will transform into a Tiki Hut. We will try and find ways to keep the Volcano Spirit happy. We’ll spend the afternoon playing beach games at our All Camp Laua. Do you have a ukulele? Bring it! We’ll teach you how to play. We can’t wait to see you at Special Days Ohana….because “Ohana means family….and family means no one gets left behind or forgotten”. Attached please find the camper confirmation materials which include a packing list, driving directions, check in times and much more. If your child(ren) are riding the bus then we’ve attached the details for our transportation service below. This document includes drop off / pick up times and the address for the locations we serve in Detroit, Ann Arbor and Lansing. Please plan to arrive 10 – 15 minutes before the scheduled time so we may remain on schedule, unfortunately, the bus will not be able to wait for families that do not arrive by the listed departure times.